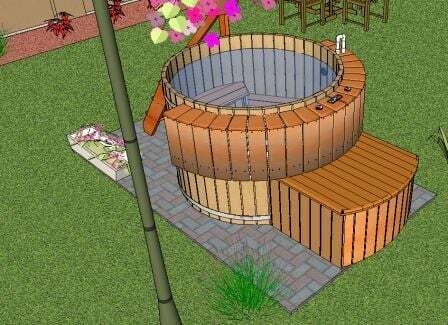 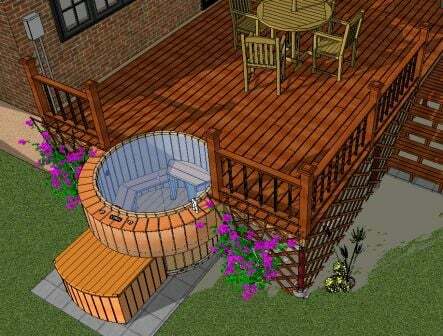 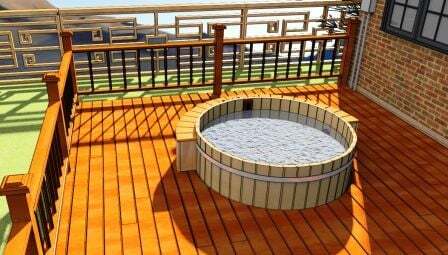 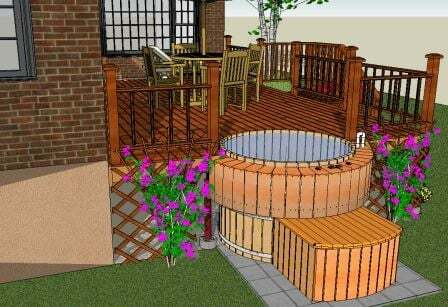 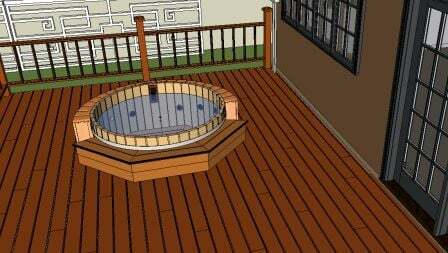 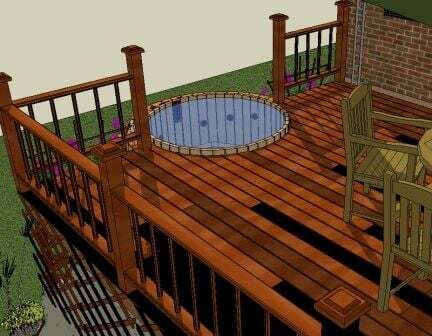 While there are 1000's of different hot tub design installations for wooden hot tubs, our engineers have created a few of the most popular installations profiles that involve either a standalone tub or hot tubs integrated into a deck. 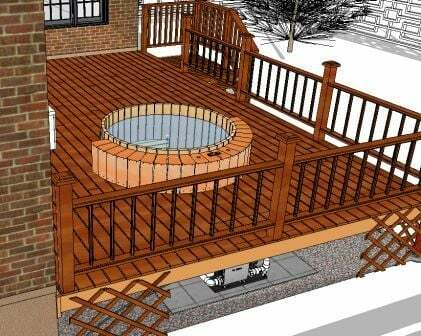 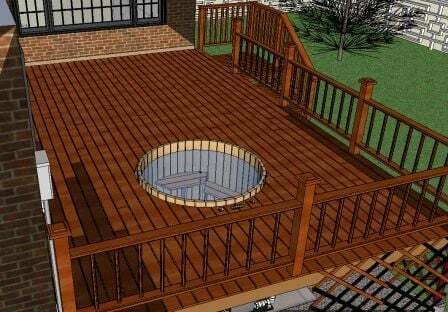 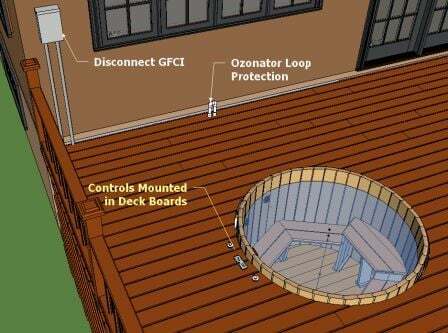 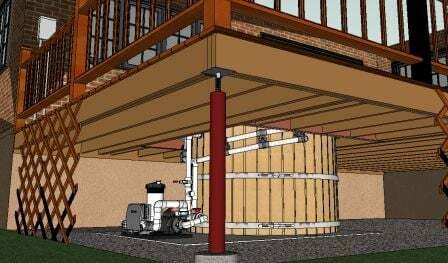 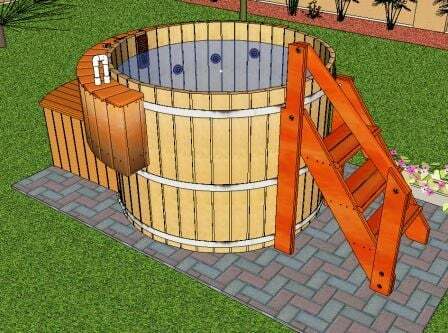 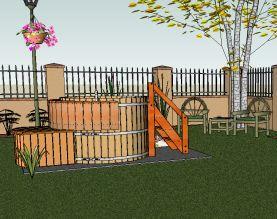 Below you will find some 3-D installation perspectives that can be helpful in choosing accessories or planning out your dream hot tub! A more detailed installation planning document(s) can be supplied at no charge for those customers who purchase a Northern Lights Cedar Tub.